Knowing what to do when dealing with a family member or someone else considering suicide can be overwhelming for anyone involved. Unfortunately, this issue doesn’t seem to be going away anytime soon. Recent data from the Centers for Disease Control and Prevention (CDC) shows a continued increase in suicide rates over the last 18 years. That’s why organizations like the Suicide Prevention Resource Center are constantly searching for solutions aimed at preventing people from dying by suicide. One of the latest approaches includes talking about “lethal means counseling,” or safety in a health care setting. What is lethal means counseling? Elly Stout, director of the Education Development Center for the Suicide Prevention Center, recently wrote about the importance of reducing the lethal means in health care settings as an effective suicide prevention method. “It’s up to all of us to promote these conversations as a critical part of safer suicide care around the country,” Stout wrote. 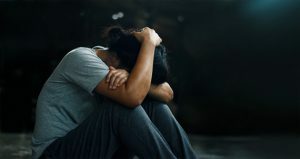 In addition, lethal means counseling should be a “key part of safety planning, which is a collaborative process between patients or clients and clinicians to create a written list of coping strategies and supports to use when suicidal thoughts arise,” Stout wrote. What is an effective safety plan? Along with removing lethal means from someone seeking help for suicide prevention, many health care workers and clinicians who deal with such issues believe that creating a safety plan can be an effective tool for someone at risk of suicide. The Suicide Prevention Resource Center created a video outlining the importance of creating a collaborative safety plan. Such a plan should “identify specific behaviors, actions, and situations that help them stay safe,” according to the center’s website. Attorney Skip Simpson has seen over and over again what happens when medical facilities do not take proactive steps to prevent deaths by suicide. When patients come to a hospital, the first priority should be to make sure they are in a safe environment. Removing lethal means is a critical step in that direction. Seeking help for suicide prevention is difficult enough. The least hospitals can do for patients who do so is to remove risks from their environment. This entry was posted on Friday, January 18th, 2019 at 3:42 pm and is filed under Suicide Risk. You can follow any responses to this entry through the RSS 2.0 feed. You can leave a response, or trackback from your own site.